Do I like oatcakes? Until recently I was unconvinced. Oatcakes conjured up dull images of half eaten packets of stale oat crackers at the back of our snack cupboard. In my mind, they had always been much less appealing than other crispbreads. I guess I’m more of a rye girl! But… there has been a revelation. 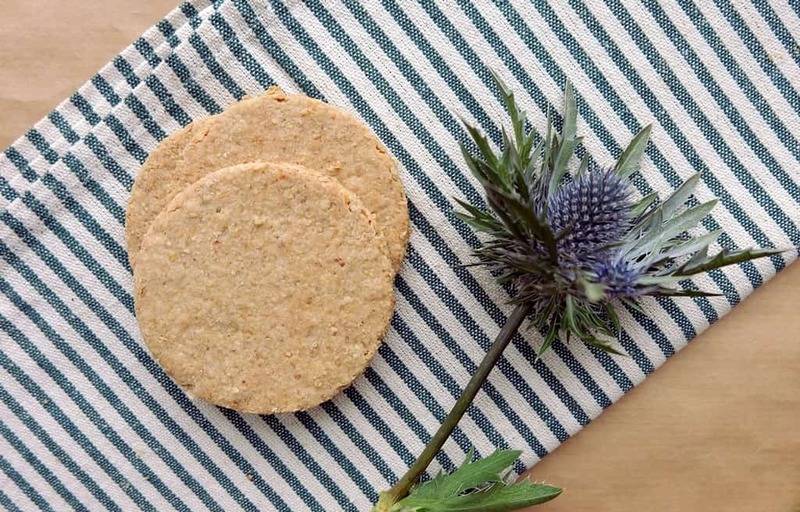 Try this homemade Scottish oatcakes recipe for a taste of oats at their best. Prompted by an invite to a Burns Night Supper, I decided to bake a batch of homemade oatcakes to bring to the party. They turned out to be crunchy, tasty and altogether more elemental than the shop-bought oatcakes I’d tasted previously. “Hear, Land o’ Cakes and brither Scots”. I opted to work with pinhead oats (whole oats cut into two or three pieces), fine oatmeal and porridge oats to produce a smooth textured yet substantial tasting oatcake. Replace fine with medium oatmeal if you prefer a more rugged looking oatcake. 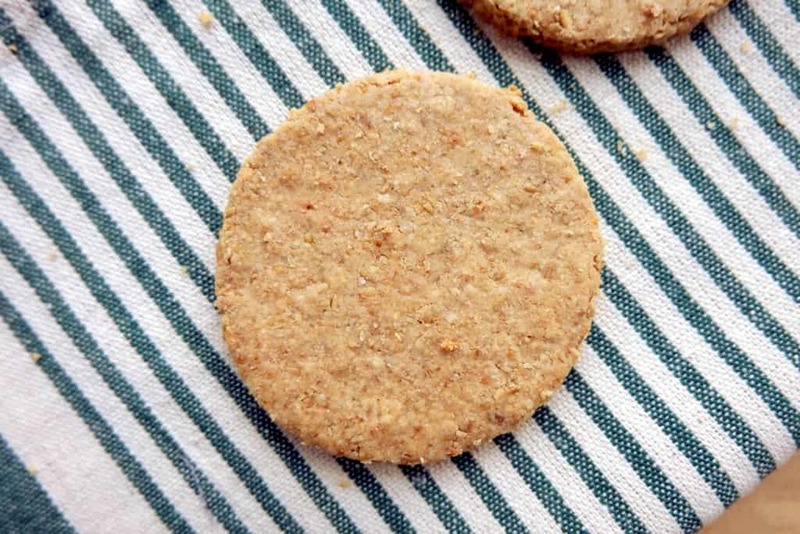 Oatcake lovers, and oatcake doubters, try this easy recipe for wonderfully rustic oatcakes, using just oats (no other grains) and no raising agent. Bake up this easy oat-based treat, delicious with many savoury toppings or to serve with your Burns Night Supper! Heat the oven to 180°C and line a baking tray. Combine all dry ingredients in a large mixing bowl and mix well. Add the wet ingredients to form the slightly sticky oatcake mixture. Use fine oatmeal to lightly flour your work surface to prevent the dough from sticking, then flatten the dough with your hand before rolling it to approx. 4 mm thickness with a floured rolling pin. 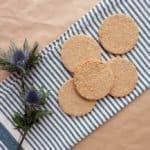 Using a cookie cutter (I used a 7.5 mm cutter), cut out rounds of even thickness and carefully lift each oatcake onto a baking tray lined with baking paper. 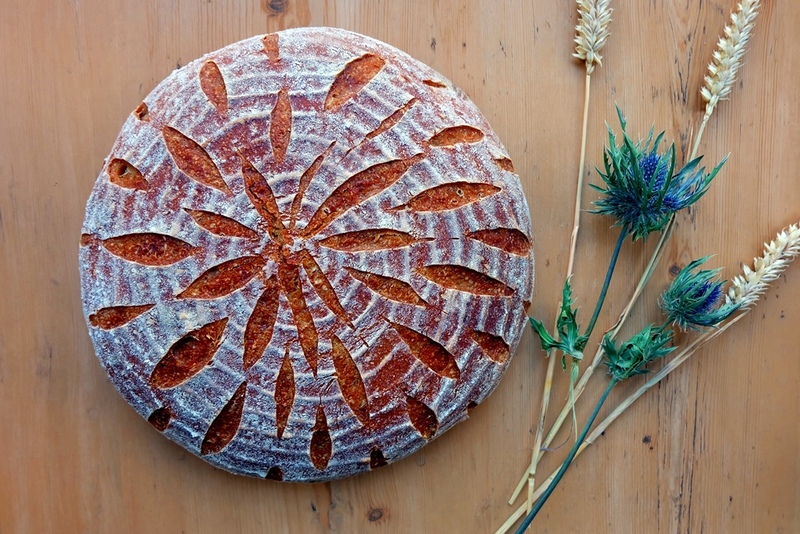 I use a dough scraper to help with the lifting. If you have to bake the oatcakes in batches, make sure you mix together the leftover dough (use a tiny bit of extra water if it's gone a bit dry), storing it in a covered plastic bowl to prevent it from drying out while the other batch is baking. Bake for 20 minutes, then carefully turn the oatcakes over and bake for 5 or 10 more minutes on the other side until they feel hard and dry on both sides. Prevent the oatcakes' edges from catching by moving them around a bit after 10 minutes. Gently transfer to a wire rack to cool. 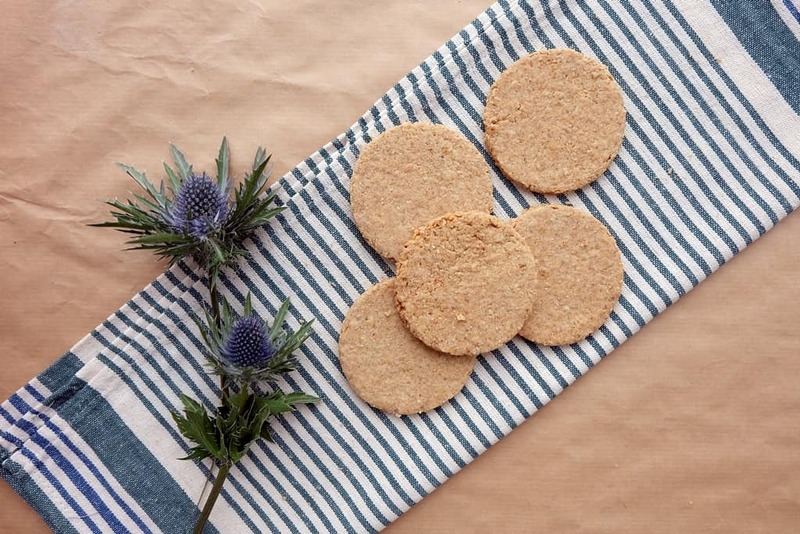 The oatcakes are delicious and tender but sturdy enough for any topping!